If you or anyone else you know was excited when Derrick Rose was set to play his first NBA preseason game since before the 2011-12 season, then I’ll just go out on a limb and assume that you and those people are probably currently breathing into a brown paper bag. It’s okay; I’ve gone through six already. In the last hour. 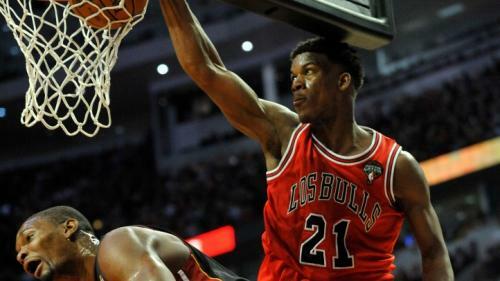 Today marks the beginning of the 2013-14 NBA season, which means at least 82 games of Chicago Bulls basketball. Last year’s team played the entire regular season and postseason without Rose. They won 45 games during the regular season and even managed to eliminate the Brooklyn Nets in the first round of the playoffs, in seven games. After stealing Game 1 from the Miami Heat in the second round, the Heat regrouped and swept the rest of the series. Amundson, Cook, Radmanovic and Thomas simply filled the roster last year, but the losses of Belinelli, Robinson and even Hamilton will hurt the Bulls a little bit. Belinelli improved as the year went on, especially on the defensive end, and the Bulls will miss having an offensively competent, 6’5″ 2-guard who can handle the ball effectively. Nate Robinson was seemingly every Bulls fan’s most and least favorite Bull, but I think he ultimately won a lot of folks over with his postseason heroics. While Hamilton played in only 50 games, he was still a serviceable player, but one who could never seem to avoid injury. For whatever reason, there are still some Bulls fans who continue to lament the loss of sharpshooter 2-guard Kyle Korver, but I’ve been over it since the day he was officially no longer a Bull. Belinelli was looked at as a replacement for Korver by many, and wrongfully so. I don’t think Dunleavy is as high caliber of a player as those two, but his shot is close to Korver’s, and he can make a play every once in a while, a la Marco. Good enough for me. James will be an emergency/garbage time player, and being 38 years young, that’s suitable for him. Snell, the Bulls’ 2013 first-round pick, probably won’t play much at all in 2013-14, but he’ll turn just 22 in less than 2 weeks and comes from a solid basketball program. Murphy will play even less than Snell, but with the NBA essentially wiping out prototypical power forwards and replacing them with “stretch 4s” who can shoot the long ball, Murphy will certainly have a role on this team going forward. The Backcourt: DERRICK ROSE IS BACK! Now that I’ve gotten that out of the way, it’s time to look at what’s in the Bulls’ guard stable. Obviously, things start with Rose. He looked great throughout the preseason and appears to be the most confident he’s ever been during his pro career. I truly hope that along with working out and shooting during his idle time, that Rose was watching the game and attempting to learn as much as he possibly could. Rose is the Bulls’ clear-cut floor general, and if he can become more of a point guard who’s a scorer rather than a scorer who’s a point guard, things could get very ugly, very quickly for the rest of the NBA. Kirk Hinrich is back for another dance and really, the Bulls just need him to be average. Hinrich is still a capable ballhandler, distributor and defender (let’s not foray into his shooting woes), so as long as too much isn’t heaped on his plate, he should do just fine. Jimmy Butler will be the starting shooting guard this season, and everyone and their grandmother is predicting that Butler will be one of the NBA’s breakout stars this season. I doubt he’ll come remotely close to All-Star recognition, but he will easily be the best 2-guard the Bulls have had in several years. I’m still not a fan of the Marquis Teague pick in 2012, but I suppose that if he can push Hinrich for playing time this season, the pick was at least somewhat worth it. The world would be a better place if Teague were 2 inches shorter, but then again, the world would be a better place if Krause and Co. hadn’t screwed the Bulls’ dynasty out of potentially another title or two. Boozer over the summer of 2014. Gibson’s production dropped in 12-13 slightly, but I believe that he’ll be relied on more in 13-14 than any other time since his rookie year, and that reliance will utlimately pay off. Boozer, on the other hand, will probably end up averaging close to 16, 17 points and 8, 9 rebounds per game and most fans will still do everything in their power to obliterate him. I get it; he’s become the Bulls’ convenient whipping boy. He frustrates the hell out of me plenty (How about instead of screaming for Jo to give a little help D, you provide the help yourself, Carlos?! ), but I’m objective enough to admit that with a healthy Boozer, the Bulls are a better team than they are without Boozer at all. There was a time when I couldn’t stand the sight of Joakim Noah. It was bad enough that I felt he was an unbridled idiot at the University of Florida. Hearing NBA commissioner announce that the Bulls were selecting him with the ninth pick of the 2007 NBA Draft about damn near sent me over the edge, figuratively. The feelings didn’t get any better during his tumultous beginning with the Bulls, either. 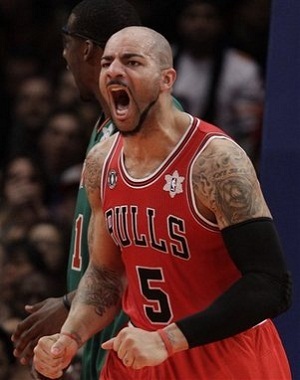 But now, he’s my favorite Bull, with all due apologies to fellow Chicagoan, Derrick Rose. Simple and plain, Noah is the Bulls’ engine. He was the best all-around center in the NBA last year, and those who weren’t already aware got to see the greatness that is Noah’s passing ability on a nightly basis. Granted, Noah did miss 16 games and was plagued by that damn plantar fascitis in the playoffs, but I’d still take him over any other center in the NBA, no bias involved. I don’t hate Luol Deng. I just don’t think he’s an elite NBA player, or has ever been one. I’ll readily admit that he is one of the better small forwards in the NBA, but one of the best? That, would be a stretch. Deng is in the last year of his ridiculous contract, and if he wants a new deal that also includes a hefty amount of dollars, he’ll perform like the good all-around hooper that he is in 13-14. I believe that Deng is capable of so much more than he produces, and has all too often faded into the background when there’s a play to be made. With Rose back and on a mission, Deng won’t hit that 20/8/4 line that I’ve been waiting for, for years. But if he can stay healthy, and not tail off on the defensive end where he is most highly valued, he’ll help the Bulls rack up Ws and himself rack up dollars in free agency. Too much swank, Tom, Too much damn swank. The Coach: Tom Thibodeau enters the 2013-14 season with a regular season winning percentage of .683, which obviously includes a mere .549 percentage from the 12-13 season. In their first two seasons under “Thibs,” the Bulls finished with the NBA’s best regular season record before being eliminated in the playoffs. It’s true that injuries played a part in those premature exits, but Thibs didn’t help matters as much as he could, especially on the offensive end. Since 2010-11, the Bulls have been a top-five team, defensively, but just mediocre when it comes to the other side of the game. When you’re a stout defensive team, there isn’t the impetus to score 115 points a game. This is clear. However, the Bulls aren’t without some talented, versatile weapons. Fortunately, Rose will lead a new Bulls’ offense that will hopefully be able to score more points, more efficiently. Some will be quick to opine that a new offense will be the difference between another early playoff exit and a NBA title, but I would disagree on the grounds that regardless of scheme, missing players or being forced to suit up ailing ones takes an expert offensive scheme and marginalizes it. Besides X’s and O’s, Thibs could probably not seemingly drive Deng into the ground in terms of minutes played, which would benefit both parties. 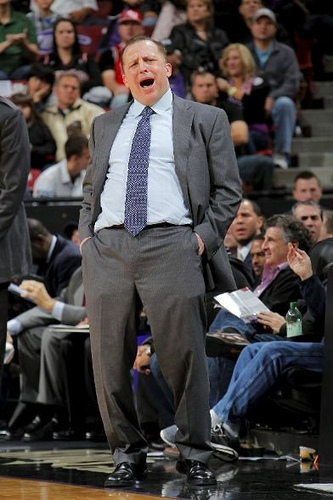 Other than that, I really don’t see any glaring flaws in Thibodeau’s coaching abilities. The Bulls will come out and play 48 minutes just about every night, and that goes double for the defensive side of things. Hopefully, the controversy surrounding the departure of one of his top former assistants is nothing to acknowledge, and Thibs does his (semi) madman thing and guides this team to even greater things. 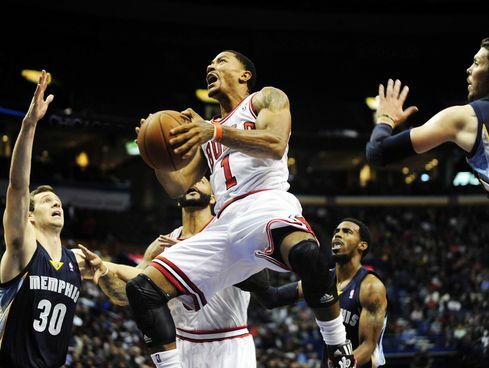 In Summation: DERRICK ROSE IS BACK! Yes, you were made aware of this earlier, and I felt I should remind you again. No NBA team had a better offseason than the Bulls, because Rose’s return could basically be viewed as an offseason acquisition. The Houston Rockets acquired a new, top-5 player in center Dwight Howard, but I’d still argue that the Bulls had a better offseason because I feel the Bulls are closer to a title than the Rockets, even with Howard and shooting guard James Harden. Supposedly, Deng feels disrespected because he hasn’t been re-signed, or even offered an extension. Touch cookies. I’m sure we’ll get the customary “walk year” play from him, which means we could see an elevated Deng or deflated one. Hinrich will likely be okay and won’t make me pull my hair out, but I’m sensing some epically frustrating play from Boozer this year. It’s okay, ‘Los. Nikola will relieve you, starting with the 2014-15 NBA season. Noah is over the plantar fascitis, and sore groin that plagued him this preseason, and I believe he’ll come close to matching his per36 numbers from last year. The first person to tweet “The Butler Did It” will be blocked, without prejudice. Dunleavy won’t draw my ire as much as fellow Dookies, Deng and Boozer, but that’s because he wasn’t an overhyped media creation in college that benefitted from playing for a diminutive bully. Hit a freakin’ jump shot, Mr. Teague. For the love of everything that is good, hit a freakin’ jump shot. I think Snell will ditch the cornrows in favor of a Gumby fade, and show Thibs late in the season that 14-15 will be his coming-out party. Murphy will connect on at least 35% from 3 and be confused for Kyle Korver about 1,273 times even though the two don’t really favor each other all that much. Nazr Mohammed will cement his status as the greatest Kenwood Academy alum to ever play in the NBA. We’re just going to ignore the fact that Mohammed is the only Kenwood Academy alum to ever play in the NBA, okay? Thibodeau will become the spokesman for Ricola, and, during testy negotiations with the company, leave them for Hall before realizing that both just wanted to objectify his damaged vocal chords. It will finally be recognized that no fanbase in all of professional sports is greater than the Bulls’ fanbase. Now… SEE. RED.